Oh hey there! No, you aren't confused about what day it is. 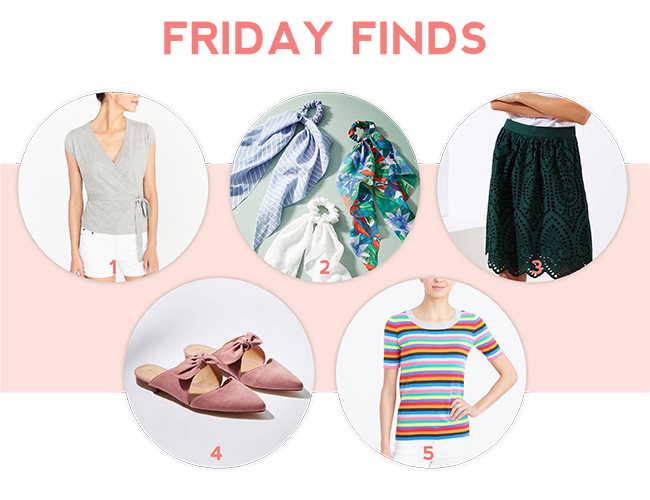 I'm sharing my Friday Finds a day early because we're headed off on a long weekend with our friends tomorrow morning bright and early, so I decided to give myself tomorrow off from posting - what a nice boss I am! We're driving out to Michigan to stay in a cabin on a river for the weekend with a huge group of friends, for lots of floating on the river and water sports and hopefully no getting into fights about feta cheese (which yes, happened last year ;) - it's always one of my favorite weekends of the year! I thought you might be over the Nordstrom Anniversary Sale at this point, so I thought I'd share some finds from other stores - enjoy!